Equinox’s claims arise out of its purchase of a Jasper Johns work which, Equinox later learned, had been stolen from the artist by former Johns studio assistant James Meyer. Meyer has since pleaded guilty to federal charges related to his pilfering of dozens of works from his longtime employer. Before Meyer’s arrest, however, many of the works he stole entered the art marketplace, often through Dorfman, an established Manhattan art dealer who helped Meyer find buyers for the pieces—and reaped millions of dollars in profits on the sales. While Dorfman has never been charged with criminal activity, Equinox’s complaint alleges that Dorfman knew Meyer had access to Johns works, actively encouraged Meyer’s thefts of the works, played a key role in peddling the stolen art to unsuspecting customers (by, for example, creating fraudulent documentation to support a false story that the works had been gifted to Meyer), and worked to conceal the scheme (by, for example, placing restrictions on buyers’ ability to loan or resell the works, in order to keep them out of the open marketplace where the artist might learn of them). 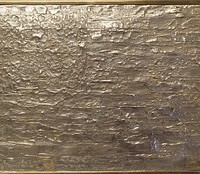 Equinox was one of many buyers who ended up in possession of stolen Jasper Johns art due to Dorfman and Meyer’s actions. Specifically, in late 2007 and early 2008, Equinox, with the help of an intermediary art advisor, arranged to buy a Jasper Johns work from Dorfman; that work was later identified as among the pieces Meyer took from the studio. In 2017, Equinox sued Dorfman and his corporate entities in federal court in New York, asserting claims under federal racketeering law (the Racketeer Influenced and Corrupt Organizations Act, commonly known as “RICO”), as well as state law causes of action for breach of warranty, unilateral mistake, and various fraud-based claims. Dorfman moved to dismiss the complaint; but this week, in a 25-page decision, United States District Judge George Daniels ruled that all of Equinox’s fraud-based claims should proceed to the next phase of the litigation. The court held that Equinox had adequately alleged the types of activity that can support viable RICO claims; in the process, it rejected Dorfman’s attempt to paint the alleged plot as “a discrete scheme with a narrow purpose,” holding that that characterization “ignores the magnitude of Plaintiff’s allegation that Meyer and Dorfman worked in tandem to defraud more than twenty victims over six years to the tune of more than $9 million.” The court ruled that Equinox has satisfactorily pled its fraud-based claims and its unilateral mistake claim—an important ruling given that New York law requires such causes of action to meet a heightened pleading standard. And finally, the court refused to strike Equinox’s request for punitive damages, noting the high degree of “moral culpability” involved in the alleged scheme, and holding that punitive damages may indeed be an appropriate remedy in this case, should a jury ultimately side with Equinox. This week’s decision means the case will move forward with further discovery, and opens the door for Equinox to potentially recover significant damages (including treble damages under RICO as well as punitive damages) should Equinox prevail at trial. The team at Grossman LLP looks forward to continuing to advocate on behalf of Equinox in this important case.